New York quintet, O’Death, are to release their latest single, Bugs, on May 30. In 2009, the band received some shocking news that their drummer, David Rogers-Berry, was diagnosed with Osteosarcoma. After ten months of chemotherapy and a shoulder replacement, the band headed back to the studio and are now ready to get on with life and producing sweet, sweet music. Bugs is a pleasant folk song with beautiful vocals and calming music. Blending soft, high-pitched vocals with fast tempo Irish folk guitars, this song is the essence of what makes folk music interesting. 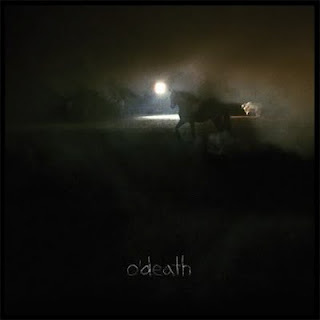 O’Death have taken traditional elements of the folk genre and given it a modern day twist. Think Mumford and Sons but think grander, more enticing and more innovative. The thing that makes this song so engaging is that so much can be heard going on in it. There are the Irish-inspired folk guitars alongside the hilly-billy banjo of Southern America, played by Gabe Darling. There’s the high-pitched typical New York style vocals from Greg Jamie combined with the folk drum beat. However, my favourite sound in this song has to be the violin, played by Robert Pycior. It adds that very traditional element of folk to the music and gives it a grounding in that genre. It helps enhance all the other instruments with its simple yet beautiful melody. O’Death – Bugs (Official Video) from City Slang on Vimeo.